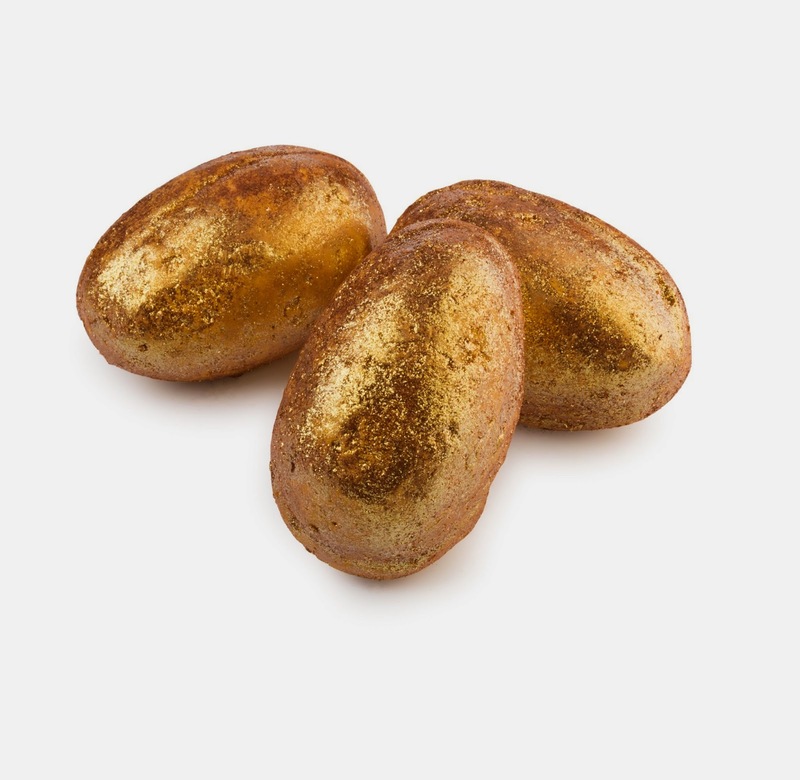 Instead of giving family and friends over-packaged, calorific chocolate eggs this year, treat them to a tasty selection of Lush's new bath products especially for Easter, much kinder to the waistline and the environment, as Lush bath bombs, bubble bars and soaps are solid which means they are preservative free and packaging free. 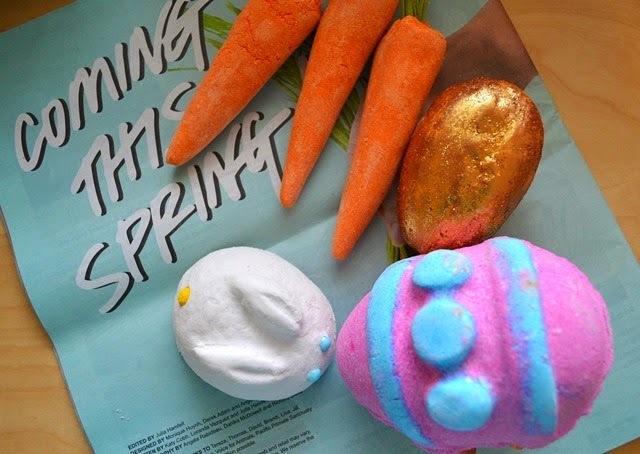 And to top it all off, Lush don't test on animals either, preferring instead to dedicate products to bunnies as opposed to testing on them.This year's offerings include brand new inventions as well as returning favourites, with a focus on offering value for money.They like to think of it as 'values for money'. A brand new invention, this egg is a bath bomb coated in bath melt mixture.It will unexpectedly sink to the bottom of the bathtub while the outer layer dissolves, popping to the surface as the fizzing centre is revealed. 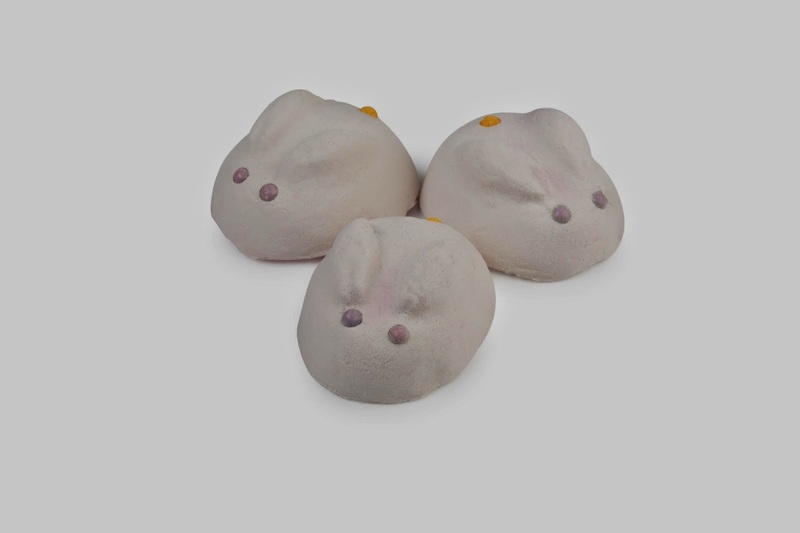 A cute little bubble bar shaped like a white rabbit, made with a brand new formula.This one has a similar mix to a bubbleroon, with shea butter and coconut oil, but cornstarch is added to the mix to limit the ‘dough rising’ effect of our other bubble bars.This means you get a more condensed bar that can be broken in half and used over two baths.Or you can use the whole things for masses of softening Creamy Candy scented bubbles.Inspired by the white rabbit in Alice in Wonderland, this sweet little fellow has a pink tummy containing little cornstarch flowers to float in your bath water. 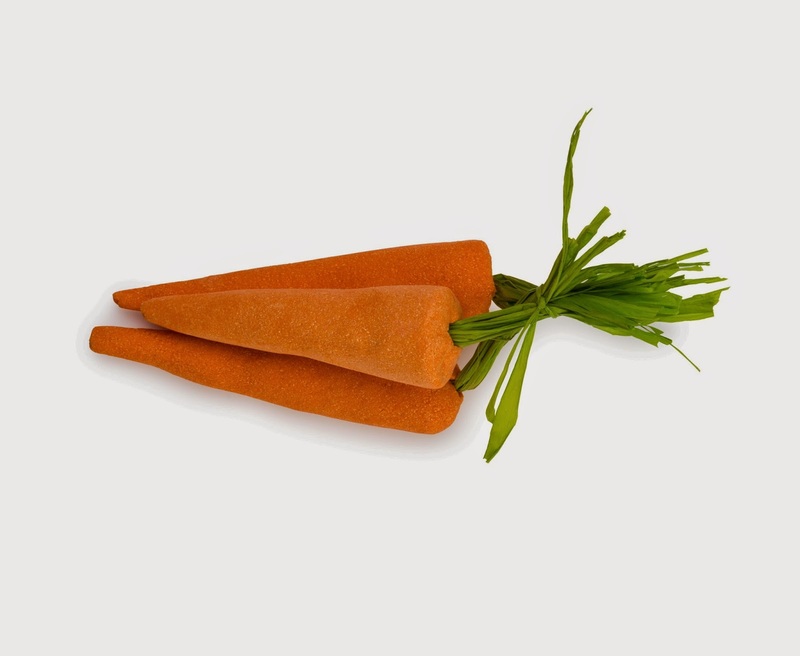 A spectacular carrot-shaped soap with a bunny hiding in every slice! 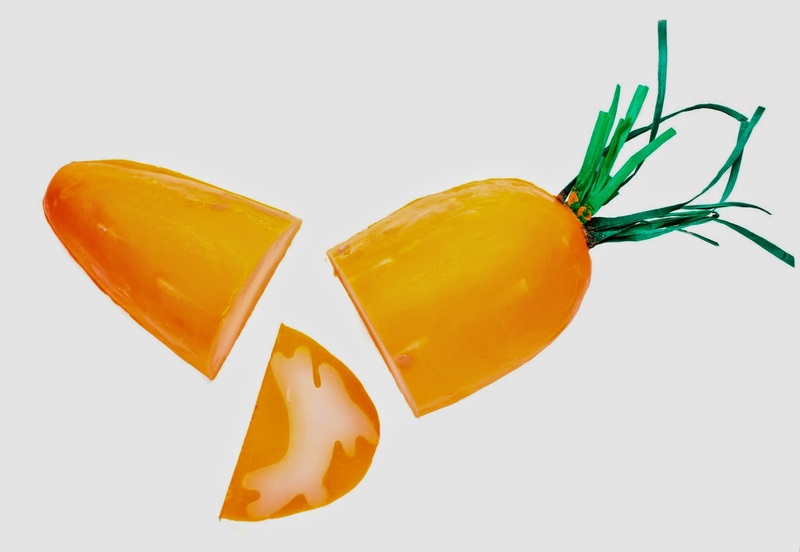 The orange part is made with carrot oil to moisturise; while the white bunny inside is made with cocoa butter to soften.The fragrance smells nothing like carrots however, as they've used fruity essential oils such as buchu, lemon and bergamot to really make your mouth water. Back from last year, this time as a bunch of three smaller carrots, so each one can be used quicker when it's at its freshest.As a re-usable bubble bar, place under the running taps to create lots of bubbles, then pop it on the side for another time.Fragranced with the same fruity oils as the Carrot soap, there's also a little bit of nutritious carrot oil in each one, which is rich in vitamins and an extraordinary skin soother and rejuvenator. Back this year and this time to stay, as it joins our all year round range after Easter! 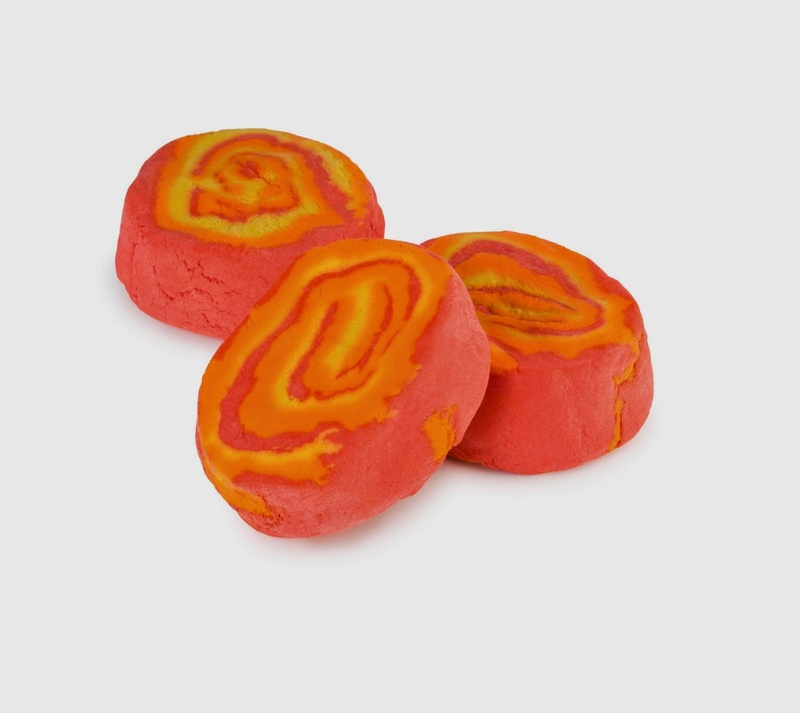 A bright and cheerful swirl of a bubble bar to give you a fresh and cheerful perspective.Scented with a trio of uplifting and invigorating oils, there's: Sicilian mandarin, tangerine and bergamot oil and just a squeeze of lemon.All are energising and also incredibly toning oils that will lift the spirits and clear the mind.Crumble under the running taps and watch as the water turns into a hazy red and orange sunset with frothy white clouds of bubbles. 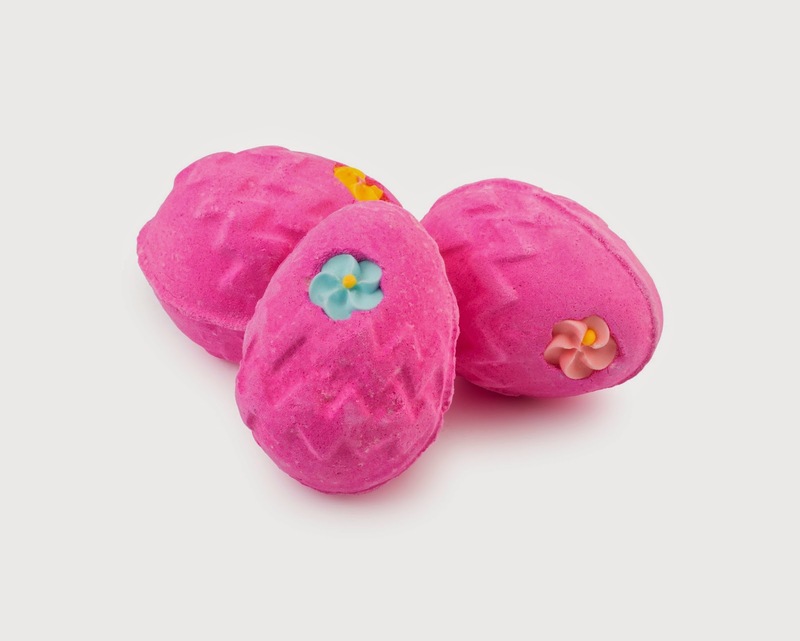 A best seller every year, this sweetie scented pink egg is adorned with a candy flower.It's like bathing in a bubbling mass of marshmallow, candy floss and jelly bean scented water.You'll get your sugar fix without anything passing your lips! 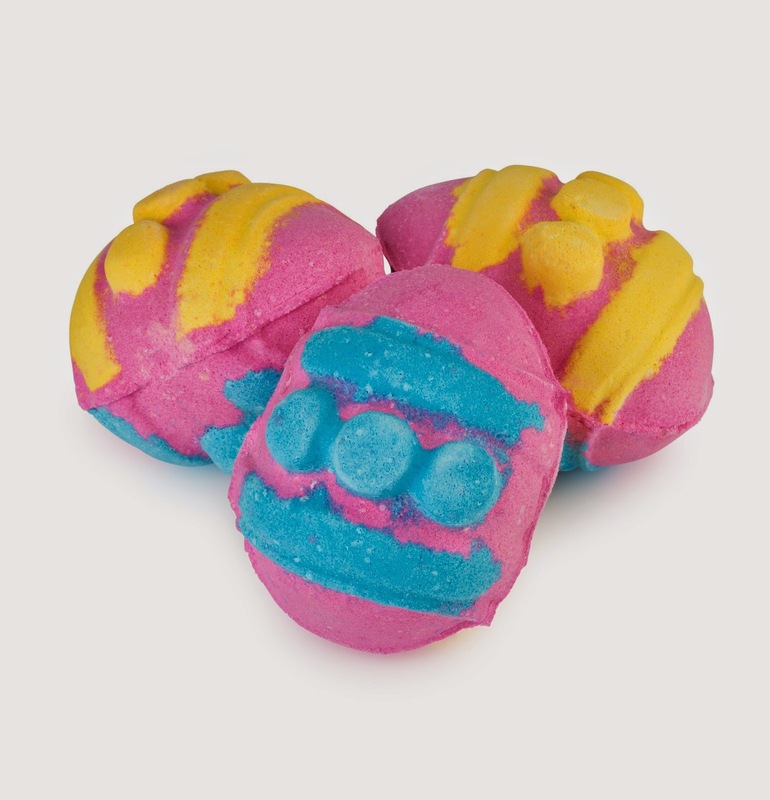 One of Lush's innovative double-layered bath ballistics, these are hollow eggs with a surprise inside.Crack the outer layer bubble bar and ballistic mix to reveal either a mini chick or bunny ballistic inside! You can then throw the outer eggshell and it's inhabitant into the bathtub and enjoy a vanilla absolute, lemon and grapefruit scented soak.There are two colours to choose from, the yellow egg with green decoration contains the bunny; while the pink egg with yellow or blue decoration contains the chick. 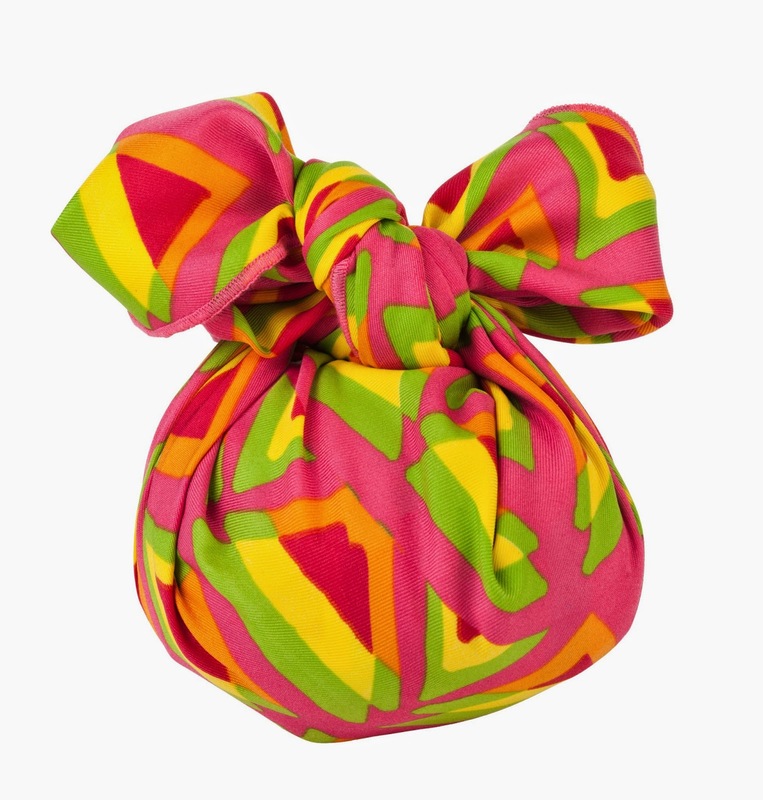 Inspired by Fabergé eggs this fab wrap made from Greenspun is a special addition to their luxury gift wrapping service.Use to wrap your choice of Lush goodies for an extra thoughtful gift.